DUSP11 antibody LS-C178935 is an unconjugated rabbit polyclonal antibody to human DUSP11. Validated for ELISA and WB. 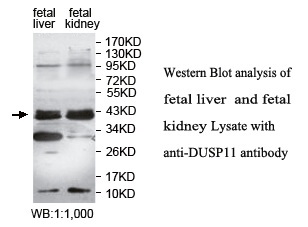 DUSP11 antibody was raised against a recombinant human DUSP11 protein 2-179aa (BC000346).